Need a credit card to make online purchases or book an airline ticket? There are many options to obtain a credit card in Germany. This article lists out the different types of Credit cards in Germany and how you can obtain them. Since a credit card provides you a draft limit to use your card, you need to prove to the credit card company that you are capable of paying your credit card bills. For this, they will check your credit score from the German credit agency SCHUFA. What is the credit score is required is decided on a number of factors like the credit limit applied for, the previous credit history etc? So, if you are new in Germany, then the chances of getting a credit card is lower than if you wait till you build your credit history. But you can still apply for certain types of credit cards with a low credit limit or a prepaid credit card linked to your bank account. Many bank accounts now provide a credit cards along with their checking accounts. This is either provided free of cost without any conditions, or may have certain conditions linked to it. These credit cards sometimes also allow usage of the card in ATM’s for cash withdrawal without any fees. Automatic payment of balance from the current account so that you do not miss a deadline. Everything is from a single source so easier to keep track of your finance. However, if the customer has newly moved to Germany, it might be difficult to obtain a credit card with a high credit limit. Therefore, you can apply for one with a very low credit limit. Since the amount is automatically withdrawn from the bank, you can keep a balance on your account and use the card as a prepaid credit card. There are many banks which give a credit card along with a bank account. For detailed information on the banks which offer Credit cards in Germany along with the Checking account is available on this website and also at the Checking account comparison page on this website. However, for ease of the readers, we have shortlisted the banks. DKB bank is the hardest to open an account with, while Number26 is one of the easiest banks to open an account and provides comparably good service. The main advantage of the above three recommended banks are that they can be used to withdraw cash from your bank account in any cash machines which accept Visa or MasterCard. A prepaid card is recommended if you do not have a good credit score or have security concerns in using your credit card online. If you have not been successful in getting one of the above accounts or are new in Germany and have already been refused a credit card, the possibility is that your credit score is low. When you can apply for a Prepaid Credit Card, no Schufa credit check is performed. A prepaid credit card often paraphrased as “credit card without Schufa” (Kerditkarte ohne Schufa), is similar to a debit card or charge card where you need to charge every time you use them. Even if your card is lost or security is compromised, you will at most only stand to lose what is on the prepaid card and nothing more. 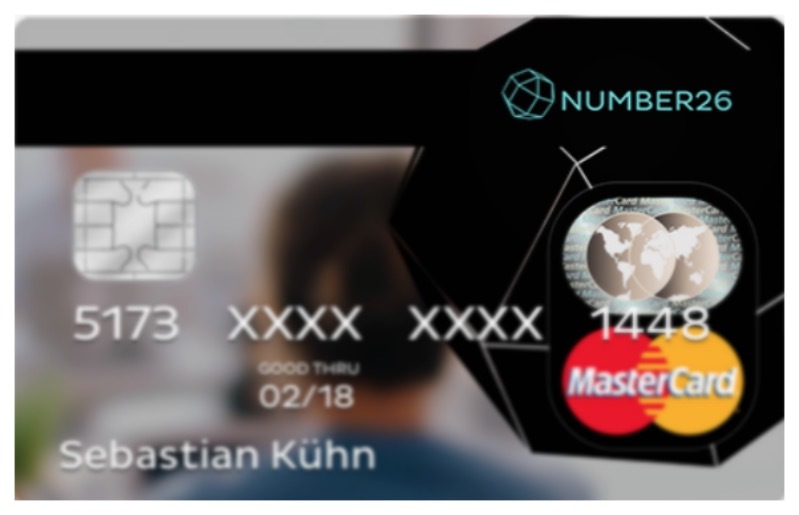 Therefore, many Germans who are overly cautious about online privacy and security have a prepaid credit card for making online transactions on websites. The credit card can be reloaded by a simple transfer. You can then use the balance for purchases on the Internet or in shops just like a normal credit card. Some of these cards also allow it to be used as an ATM card for cash withdrawals. 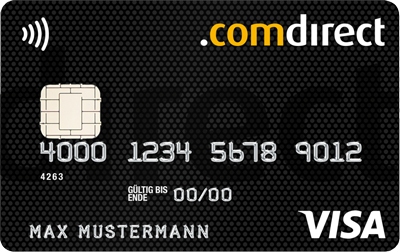 Check the link on information and other options of Prepaid Credit Cards in Germany. Free credit cards offer freedom, flexibility and independence. You can save yourself annual fees and still get a good credit card which fulfils all your needs. Some of the credit cards provided with a checking account as seen above are also free. There are many independent credit card providers which provide free credit cards in Germany. Free may not mean that it does not have any charges, it only means that the credit card has no annual maintenance fees. Some credit cards may charge for extra service, while some free credit cards may not. Other examples of free credit cards are provided below. 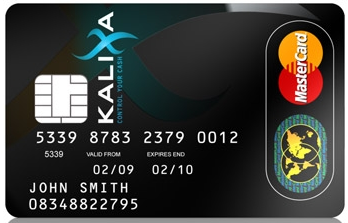 Click on the name for more detailed information about the credit card. Some Credit card providers charge annual fees for certain credit cards. In return, these cards provide additional services and benefits for the card holder. Although, the card has annual fees, it may be advantageous to have such credit cards if you use such services frequently. For example, if you are a frequent flyer, you can earn additional miles with a Lufthansa Miles and more credit card. Travelling home once a year or flying regularly for business, it always helps to collect flyer miles for that free trip, upgrade or status for that lounge access. One of the ways to collect those miles are by using a Airline credit card which also allows you to earn miles when you spend. Co-branded airline credit card with perks like priority boarding, waived bag fees, and so on also allows you to higher earning potential and greater flexibility. Some examples are Miles and more credit card, Barclays Germanwings credit card etc. Recommendation for cards is usually based on which frequent flyer miles you collect. However, since Lufthansa Miles and More is the most used frequent flyer program in Germany, therefore, we recommend a card. Co-branded credit cards are a mutual partnership between a merchant and a credit card issuer. On one hand, these function like a regular credit card, but also offers the customers added consumer benefits from the merchant, such as loyalty points, discounts, added service etc. If you are a regular customer of one of the products, it may at times be advantageous to use a co-branded credit card. Some examples of such cards are O2 card, Netto card, ADAC etc.